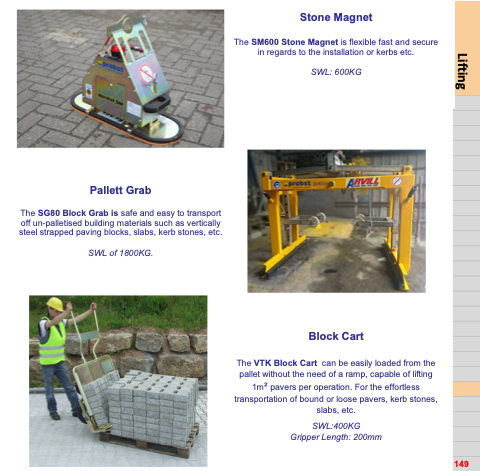 The SG80 Block Grab is safe and easy to transport off un-palletised building materials such as vertically steel strapped paving blocks, slabs, kerb stones, etc. The VTK Block Cart can be easily loaded from the pallet without the need of a ramp, capable of lifting 1m2 pavers per operation. For the effortless transportation of bound or loose pavers, kerb stones, slabs, etc. in regards to the installation or kerbs etc.